Lose your heart in one of the world’s most romantic gardens. Garden writer Anna Pavord picks ten of her favourite gardens to visit that will sweep you off your feet. ~ Anna Pavord, Gardens Illustrated. There is a disabled loo at the cafe. Alternative access routes or ramps are available where there are steps. The main routes around the garden are gravel paths, with some areas having deeper gravel than others. This lovely, timeless garden, with spectacular views over a deer park and rolling Cotswold hills beyond, was designed in the 17th Century and still retains a wonderful sense of peace and tranquillity. There are extensive yew hedges, including a notable topiary yew walk designed by Lutyens as well as some magnificent mixed borders, which contain a wide range of roses, clematis, shrubs and herbaceous plants that provide colour right through from spring to autumn. An ancient mulberry tree, believed to be planted in 1620, and the rill with fountain and stone summerhouse, built to commemorate the Millennium, are two other magical features in the history of this garden which has spanned generations. 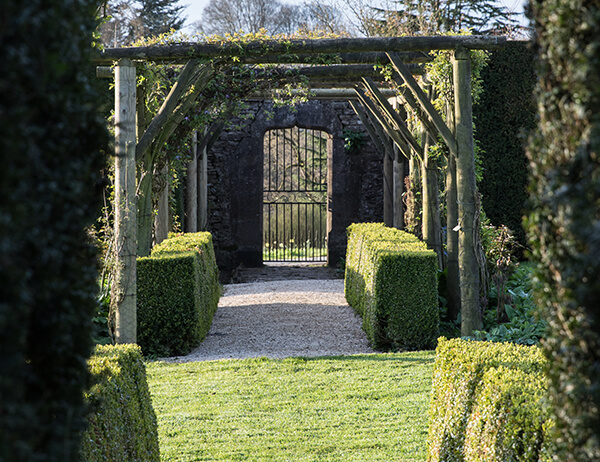 The Garden at Miserden truly is a hidden gem in the very heart of the Cotswolds. Admission – £7.50 for adults, children free. Dogs are not allowed in to the garden, but are welcome in the nursery and the cafe if on a lead. Friends passes – permit entrance to the gardens for a season – £25 each or £40 for joint, available from Miserden Nursery. Advance booking is not required, except for coach parties. For coach party visits, please click here to contact the estate. 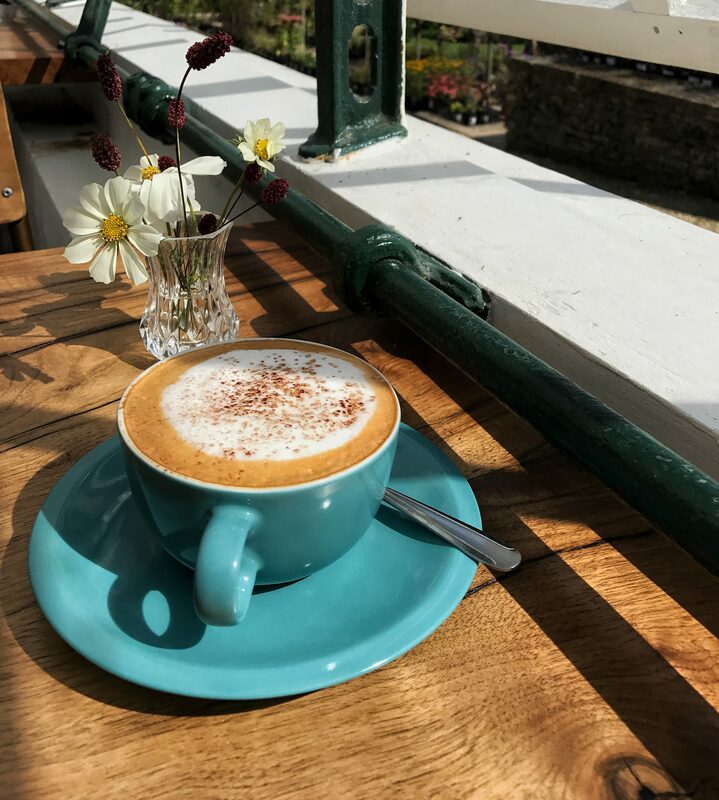 Whether you fancy a relaxing cold drink after a long walk or a hot bowl of soup on a cold winters afternoon, just come along and enjoy our welcoming atmosphere in our newly converted glasshouse. 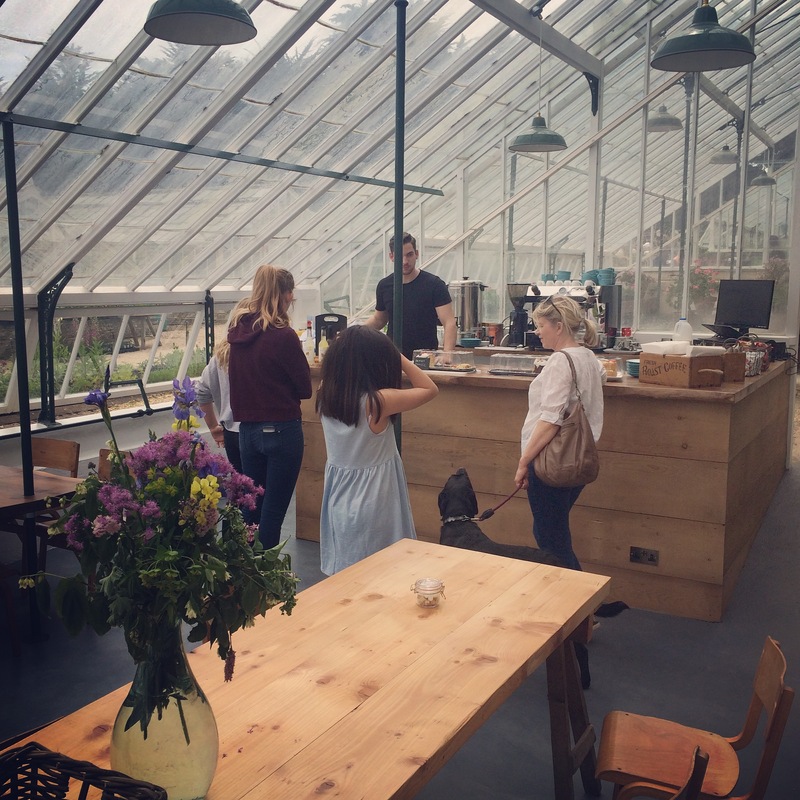 The Garden Cafe is also the host of our new Pop Up Restaurant! Our inspiration was to team up with top quality local chefs to offer something totally different in the unique environment of the greenhouse. For more information see our Pop up page! We believe that The Garden At Miserden is the most beautiful in the world. But don’t take our word for it. Follow us on Instagram and read reviews on Facebook and Trip Advisor from others who have wandered through the garden before you. If you have recently been on a visit to Miserden we welcome your feedback and are here to answer any questions you have. Our afternoon with you was simply wonderful! Sublime is perhaps the best word. Our visit to these wonderful gardens was enhanced by a beautiful sunny autumnal day. The views were terrific and many benches provided at strategic points to make the most of them. We spent much longer meandering around than we had planned for we did not want to miss any part of the experience…. Can’t believe I haven’t visited before. A true hidden gem. A completely remarkable place. A little piece of heaven. Favourite place to walk and explore. 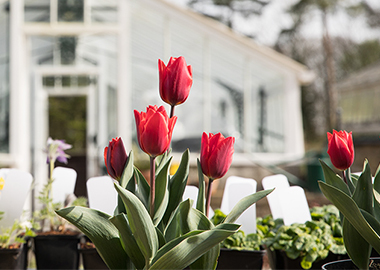 The Nursery at Miserden is a traditional independent nursery offering a truly inspiring and comprehensive range of plants in a beautiful location high up in the Cotswold Hills. 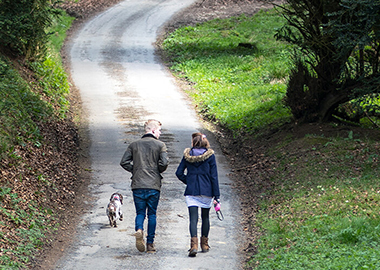 Wander through the woods, around farmland, beside the lake or see the stunning views of The Golden Valley with walks around the estate. Wake up to fresh air and birdsong at Miserden’s Jackbarrow Campsite. 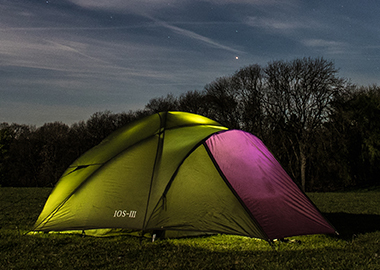 Camping at Miserden provides you with the perfect break from the hustle and bustle of everyday life.